Falls splendor adorns this colorful Autumn Song Deer Wall Hanging. It captures a whitetail deer as he crosses a well traveled forest road. 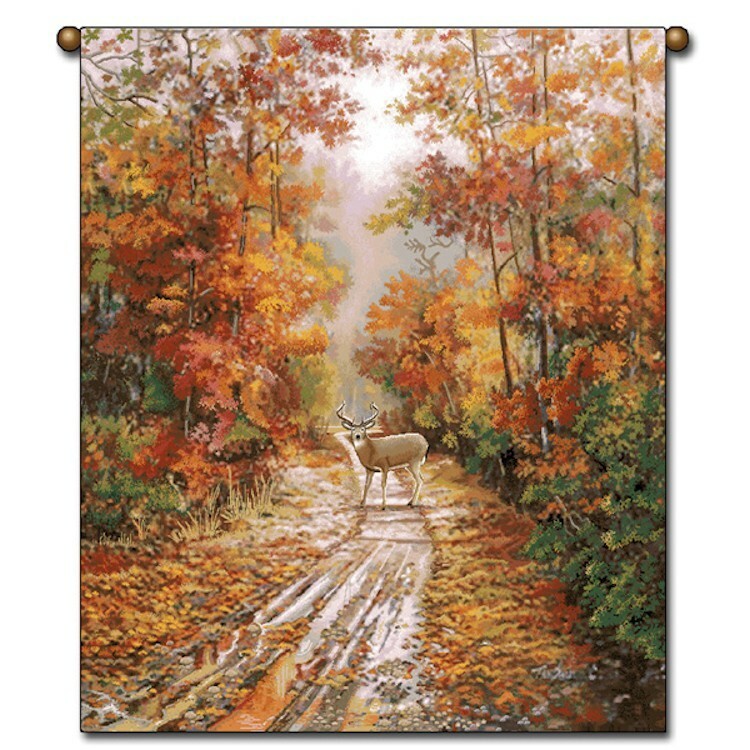 Falls splendor adorns this colorful Autumn Song Deer Wall Hanging. It captures a whitetail deer as he crosses a well traveled forest road. Fully lined and include dowel for hanging.